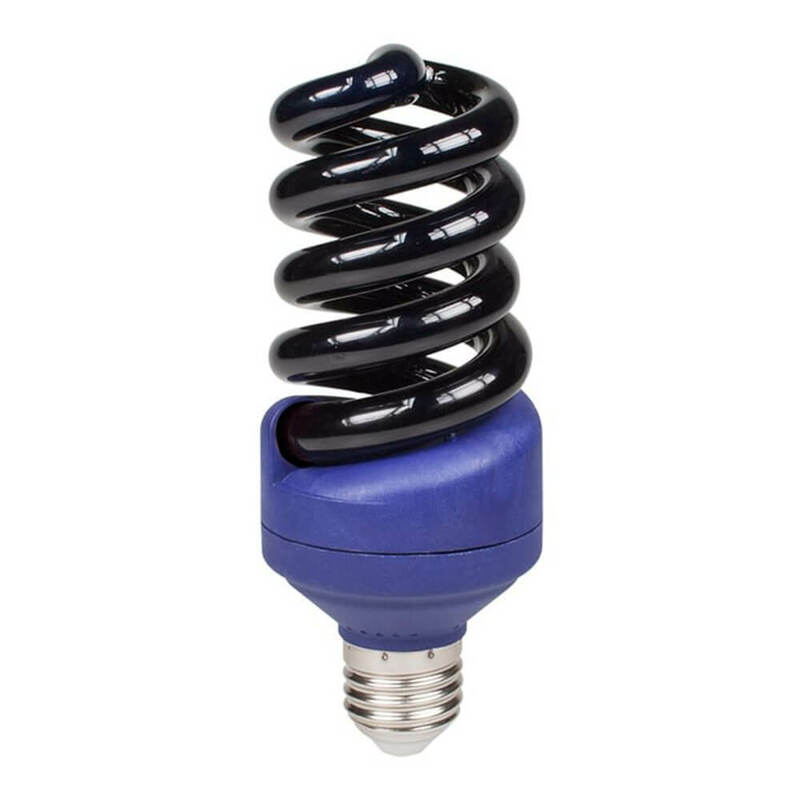 The Helix 25W Black Light Blue UV Compact Fluorescent Lamp is a special effect lamp it emits ultra violet light which makes it ideal in a wide range of applications. Include nightclubs, theatres, special effects lighting, Halloween theme’s and anti-drug use areas. Utilising Woods glass this lamp offers all the expected benefits of energy saving compact fluorescents including a longer life and energy saving.